We previously explored the idea that Millennials may have brutally murdered American Cheese, but what if wasn't just a cheese product? 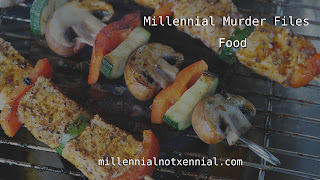 What if Millennials have just killed food altogether? In a very poignant article with a tone deaf headline, Saveur explores just that. Just the headline and the subhead alone made me roll my eyes so hard that they fell out of my eye sockets. You've probably seen it around the Internet. "Do Millennials Even Eat Food? Contradictory studies claim they're shopping for fewer groceries... but also dining out less." The thing is, the article is not as snotty as the headline. It acknowledges the financial and emotional stress that Millennials face. It also acknowledges that Millennials are often blamed for trends that other generations also contribute to. It even suggests that the use of food delivery apps is why there could be a decline in both grocery shopping and dining out. "Are Millennials Okay? Studies show that Millennials are grocery shopping less and eating out less - do they need help?" "Gen X Murdered Grocery Shopping? Studies show the age group is eating out more." "Baby Boomers Eat Out More to Save Restaurants from Murdering Millennials." "Why Do Millennials Hate Food? Studies suggest that they've stopped eating it." "Starving Is the Latest Millennial Trend." So, have Millennials murdered food? Of course not. They just rely on the ever changing technology that have shaped their lives to leave their house less. And that's just fine.